We love the bold colorblock design of this A-line chiffon dress. The Joker's Wild Colorblock A-Line Dress is fully lined and made of semi-sheer chiffon. 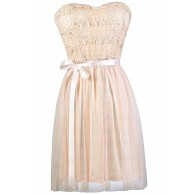 It has a rounded neckline, a fabric cutout in the front, a banded empire waist, and a flowy A-line skirt. Contrasting black fabric trims the neckline, empire waist, and top back of this dress. A hidden back zipper completes this look. The Joker's Wild Colorblock A-Line Dress would look perfect paired with black pumps or heels. 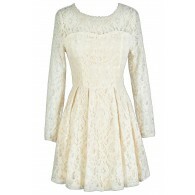 This is a simple, yet striking dress. It would be perfect to wear to a party or casino night themed event. Details: Made in USA. Fully lined except at top back. Hidden back zipper. Shell 1: 100% polyester. Shell 2: 74% polyester, 23% rayon, 3% spandex. Lining: 100% polyester. Hand wash cold or dry clean. Small measurements: Length from top of shoulder to hemline: 34". Bust: 34". 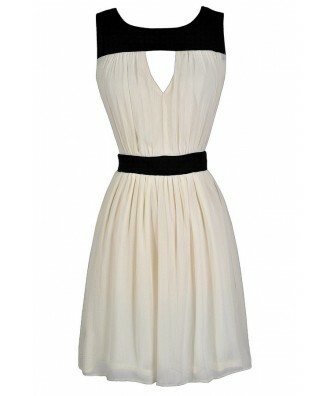 You have added Joker's Wild Colorblock A-Line Dress in Ivory/Black into Wishlist. 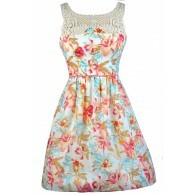 You have added Joker's Wild Colorblock A-Line Dress in Ivory/Black for Stock Notification. 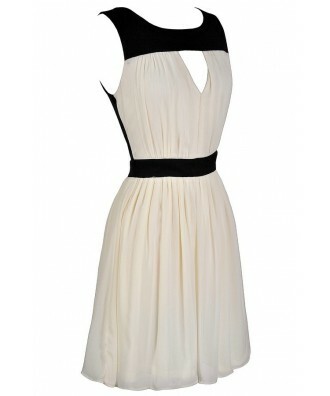 You have set Joker's Wild Colorblock A-Line Dress in Ivory/Black as a loved product. 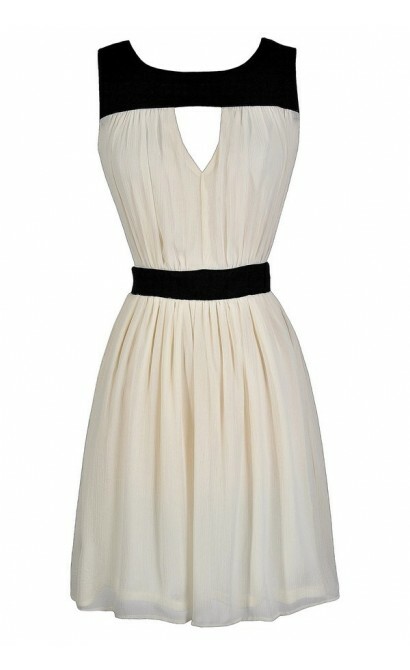 You have removed Joker's Wild Colorblock A-Line Dress in Ivory/Black as a loved product.